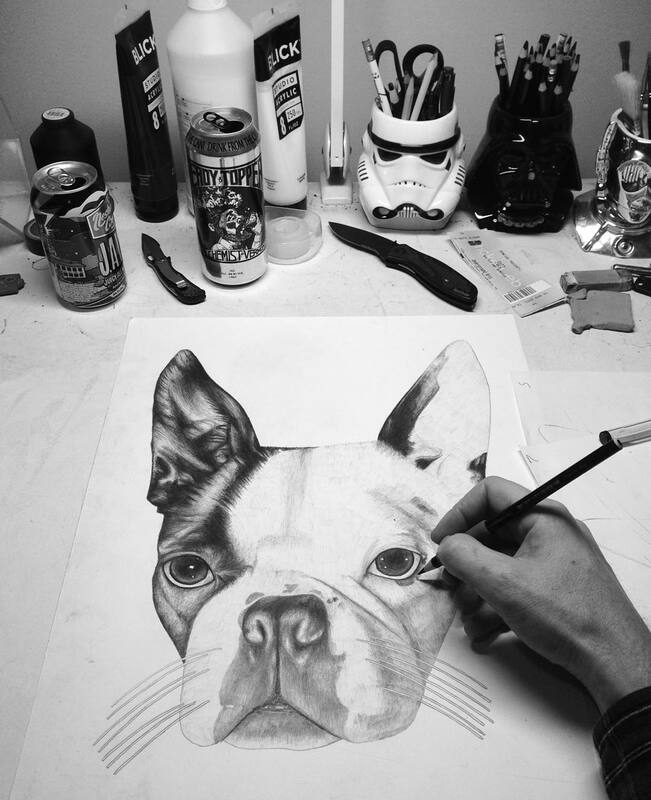 It's New Year's Eve and I'm drawing. Well, I am doing what I love to do. 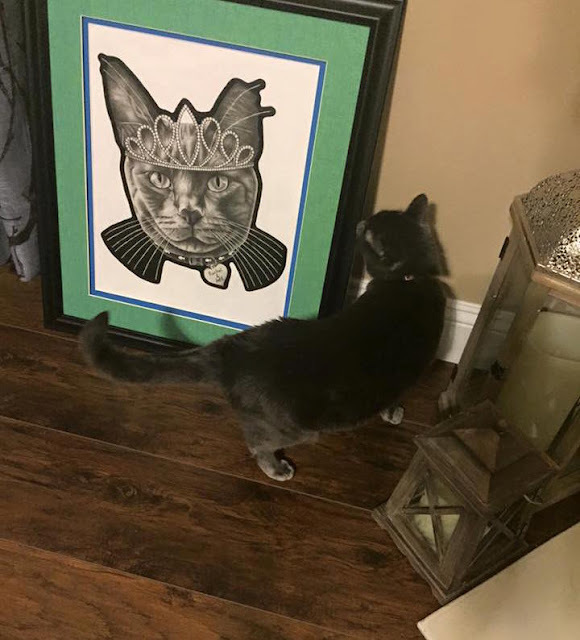 I drew Capo's portrait not too long ago and here is Capo checking out his portrait. I enjoy receiving pictures of the pet portraits I've drawn and the pet together. I believe Capo approves! 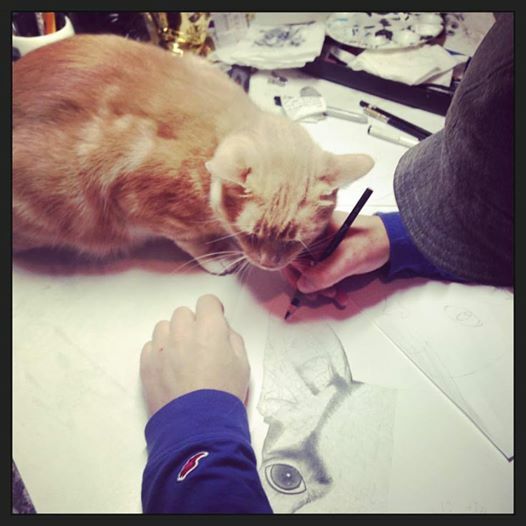 It's slow Sunday drawing here in the studio. 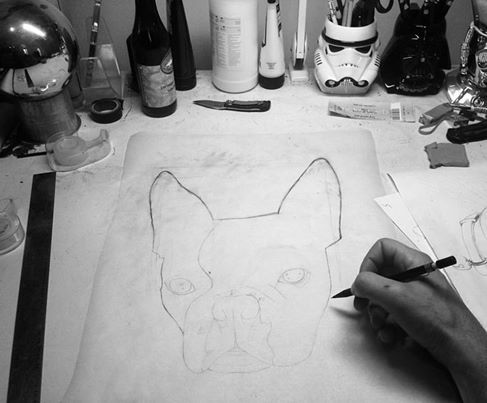 I have Henry, a Boston Terrier, up on the drawing table. Henry is the youngest in a home of 3 Boston Terriers. Here is Baby. 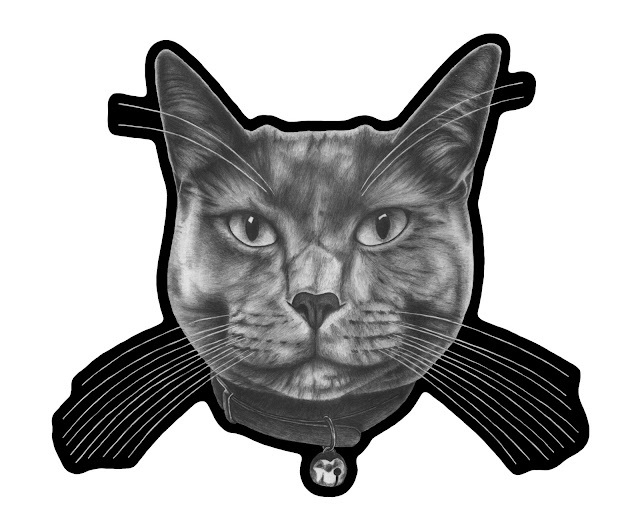 This cat comes from out in L.A. 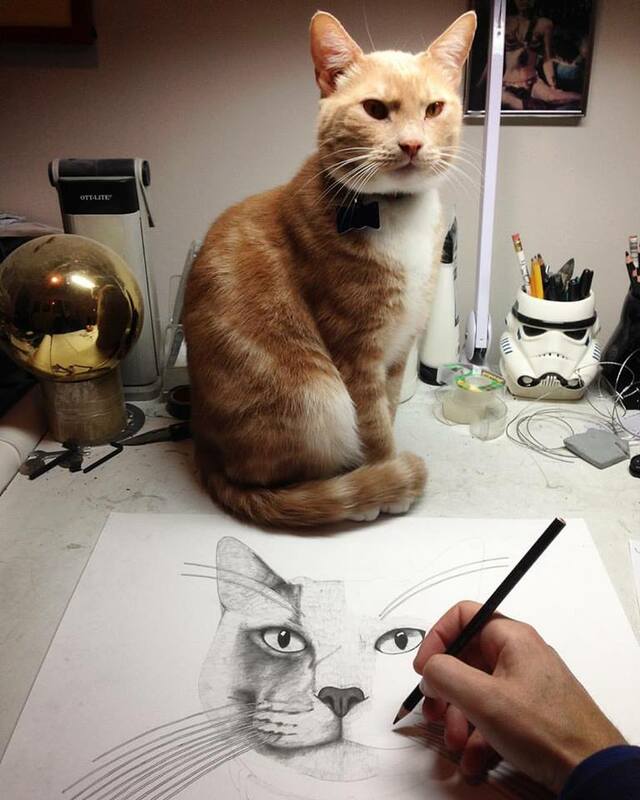 Drawing portraits can be hard. 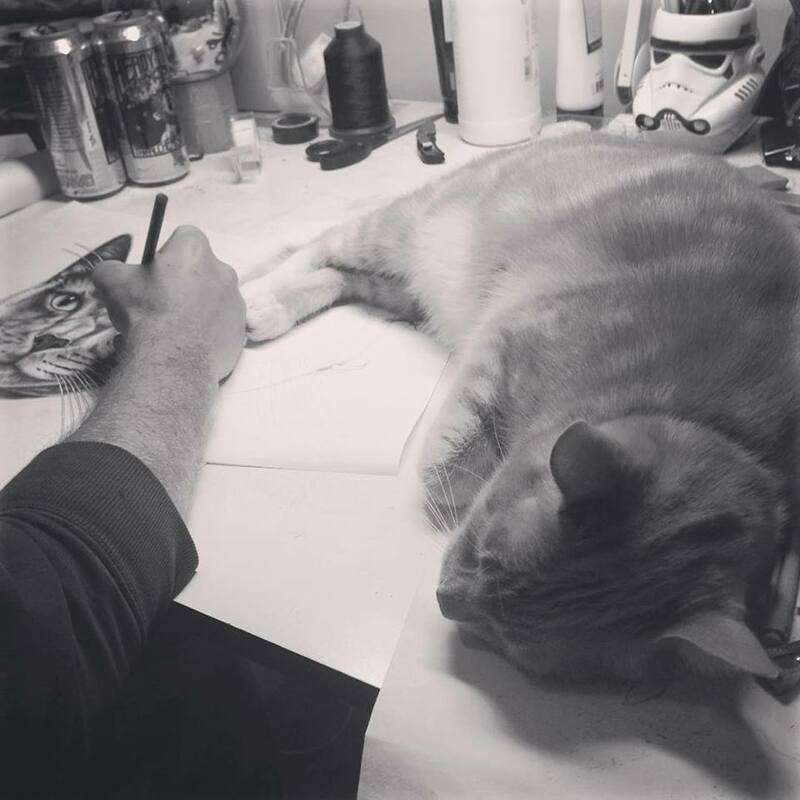 Frankie can make drawing portraits hard when he's always wanting to know what is going on and wants to be rubbed. 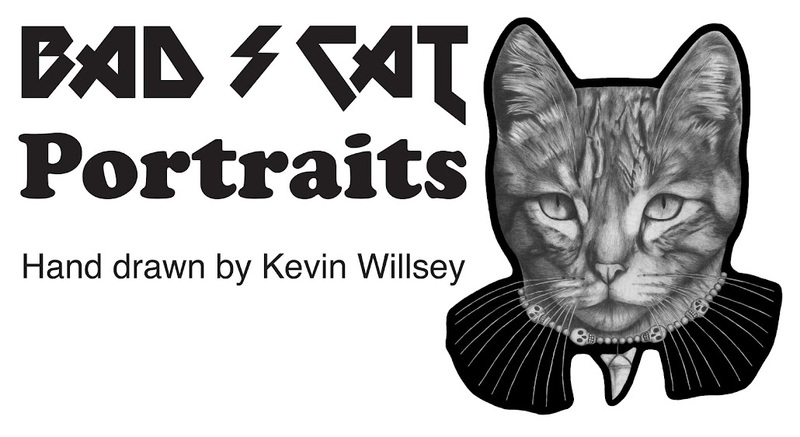 Stay tuned for a new cat portrait! I have started a new cat portrait and Frankie is there to watch.